But with more than 90 pirate attacks in 12 months - like the capture of the Sirius Star 2009, hundreds of miles out in the Indian Ocean - there are few secrets left. Usually, the raiders operate from so-called „mother-ships“, often Russian-built trawlers, from which a series of fast, high-powered motorboats are launched at their victim. Within minutes, the target ship is surrounded by a dozen or so gang members firing AK-47s into the air and threatening to shoot rocket-propelled grenades at the unarmed merchantmen. A few seconds after the flurry of gunshots dies away, the pirates clamber aboard with the aid of grappling irons and rope ladders and take control of the ship. The secret of a successful attack is the speed with which it is carried out, reveals Abdullah, whose team of pirates can identify, surround, board and take control of a ship in less than 15 minutes. According to Globalsecurity.org, there are four main tribal groups operating off the Somali coast. The „National Volunteer Coast Guard“ (NVCG), commanded by Garaad Mohamed, is said to specialize in intercepting small boats and fishing vessels around Kismayu on the southern coast. The „Marka group“, under the command of Sheikh Yusuf Mohamed Siad (also known as Yusuf Indha'adde), is made up of several scattered and less organized groups operating around the town of Marka. 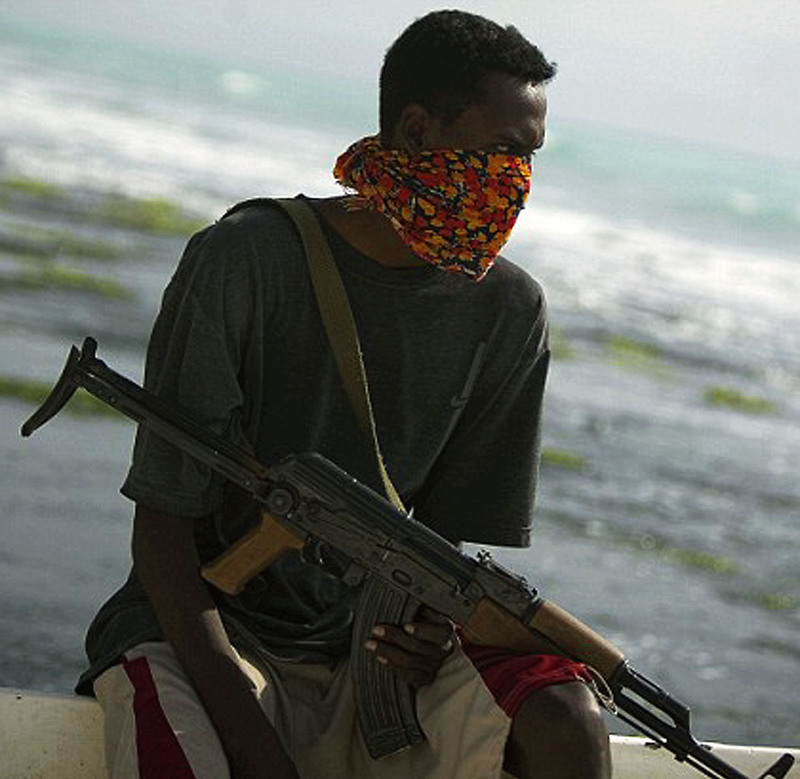 The third significant pirate group is composed of traditional Somali fishermen operating around Puntland and referred to as the „Puntland Group“. 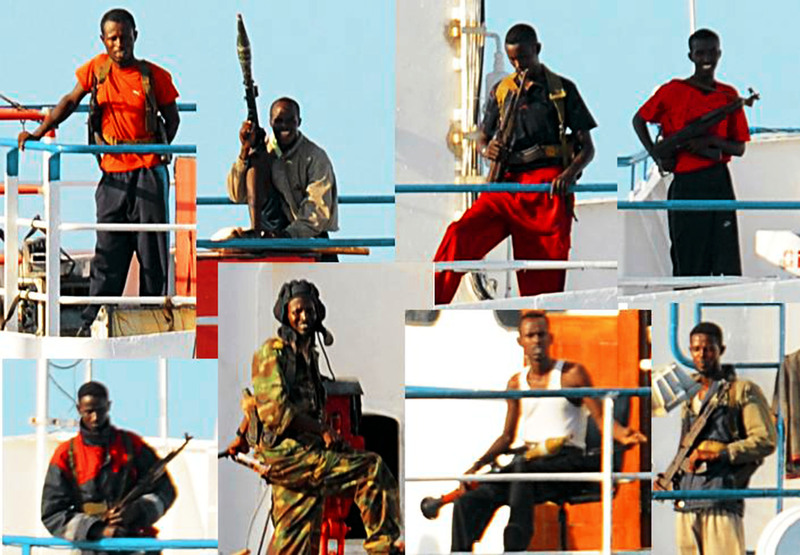 The last set are the „Somali Marines“ and reputed to be the most powerful and sophisticated of the pirate groups with a military structure, a fleet admiral, admiral, vice admiral and a head of financial operations. An admirable and lovely character is Abdul Hassan, 39. A Somali pirate nicknamed „the one who never sleeps“. Hassan is part of a pirate group called the Central Regional Coast Guard (CRCG). It was formed three years ago, has 350 men in its ranks and about 100 speedboats. Zing, zing, zing, zing, zing! The pirates get most of their weapons from Yemen, but a significant amount comes from Mogadishu, Somalia's capital. Weapons dealers in the capital receive a deposit from a hawala dealer on behalf of the pirates and the weapons are then driven to Puntland where the pirates pay the balance. 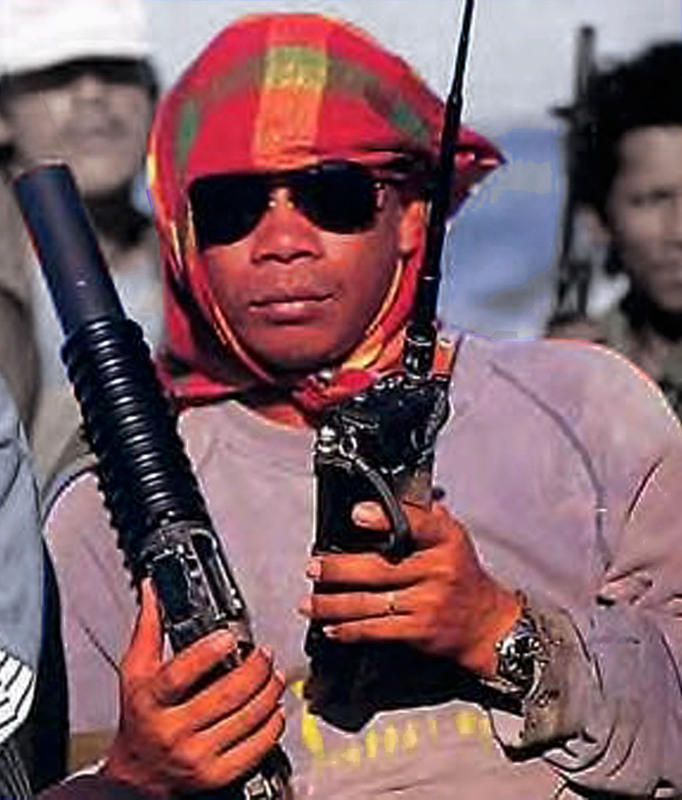 Various photographs of pirates in situ indicate that their weapons are predominantly AKM assault rifles, RPG-7 rocket launchers and semi-automatic pistols such as the TT-30. Additionally, given the particular origin of their weaponry, they are likely to have hand grenades such as the RGD-5 or F1. Pirates say ransom money is paid in large denomination US dollar bills. It is delivered to them in burlap sacks which are either dropped from helicopters or cased in waterproof suitcases loaded onto tiny skiffs. Ransom money has also been delivered to pirates via parachute, as happened in January 2009 when an orange container with $3 million cash inside it was dropped onto the deck of the supertanker MV Sirius Star to secure the release of ship and crew. To authenticate the banknotes, pirates use currency-counting machines, the same technology used at foreign exchange bureaus worldwide. Stealth maneuvers and current technology will never be enough for the international rescue squad—a collection of U.S., French, German, British, Canadian, Danish, Pakistani and other nations’ navies known as Task Force 150 (TF-150)—to fend off the next major attack. The UN Environment Programme (UNEP) reported the tsunami had washed up rusting containers of toxic waste on the shores of Puntland. Somalia has been used as a dumping ground for hazardous waste starting in the early 1990s, and continuing through the civil war there. European companies - Swiss and Italian firms dump waste in Somalia - found it to be very cheap to get rid of the waste, costing as little as $2.50 a tonne, where waste disposal costs in Europe are something like $1000 a tonne. And the waste is many different kinds. There is uranium radioactive waste. There is lead, and heavy metals like cadmium and mercury. There is also industrial waste, and there are hospital wastes, chemical wastes – you name it. Pirates have never been quite who we think they are. In the "golden age of piracy" - from 1650 to 1730 - the idea of the pirate as the senseless, savage thief that lingers today was created by the British government in a great propaganda-heave. Many ordinary people believed it was false: pirates were often rescued from the gallows by supportive crowds. Why? What did they see that we can't? In his book Villains of All nations, the historian Marcus Rediker pores through the evidence to find out. If you became a merchant or navy sailor then - plucked from the docks of London's East End, young and hungry - you ended up in a floating wooden Hell. You worked all hours on a cramped, half-starved ship, and if you slacked off for a second, the all-powerful captain would whip you with the Cat O' Nine Tails. 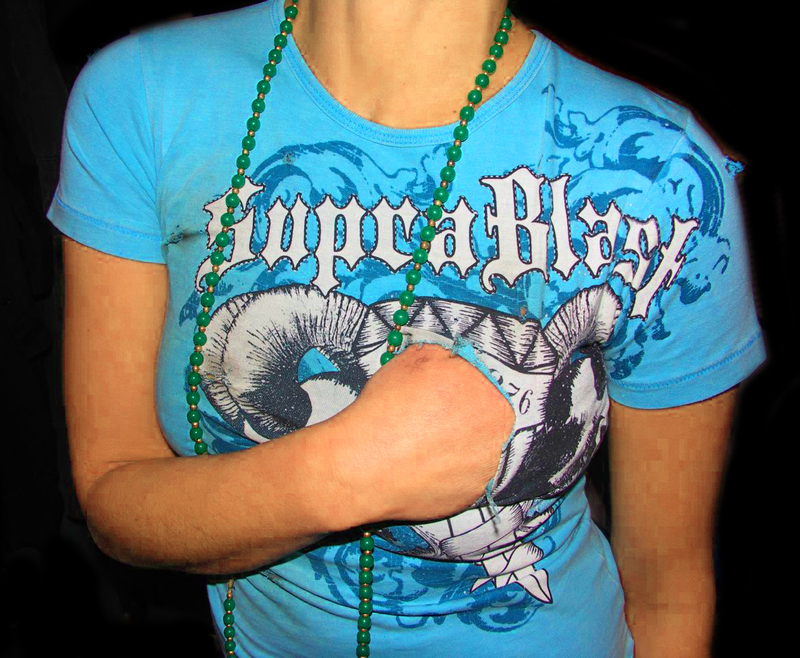 If you slacked consistently, you could be thrown overboard. And at the end of months or years of this, you were often cheated of your wages. Pirates were the first people to rebel against this world. They mutinied against their tyrannical captains - and created a different way of working on the seas. Once they had a ship, the pirates elected their captains, and made all their decisions collectively. They shared their bounty out in what Rediker calls "one of the most egalitarian plans for the disposition of resources to be found anywhere in the eighteenth century." They even took in escaped African slaves and lived with them as equals. The pirates showed "quite clearly - and subversively - that ships did not have to be run in the brutal and oppressive ways of the merchant service and the Royal navy." This is why they were popular, despite being unproductive thieves. Adrenalin, Freedom, Autonom, GPS, RGP, AXXo, Darknet, TAZ, coastline, tribal, utopia, anarchist, lawyers, wildfire, capture, navy, EU, NATO, Universal, uranium, Sony, Cargo, mp3, pirates, fashion, AV, fish, taiwan, korea, somalia, BBC, military, NVCG, Marka, RGD-5, TT-30, Freenet, HavenCo, bandwith, encryption, Cat O' Nine Tails, P2P, Producers, Global Rights, Freedom, The Law, Goddess Athena, Unite!, Schatzinsel, Rapidshare, isoHunt, Mininova, Demonoid, Gurkhas, Minimal Risk, satellite phones, Eyl, Puntland, Royal, cadmium, TF-150, Abdullah, Jumpsuits, Hakim Bey, U.N., crew, gang, hippie, symmetrical, monochromatic, ransom, CRCG, NVCG, Zing, zing, zing, zing, zing!